3 Signs It’s Time to Think About Bankruptcy - Crooks, Low & Connell, S.C.
No one likes the idea of facing bankruptcy. In many cases, consumers avoid filing for as long as possible — often, longer than they should. Making the decision to file bankruptcy can be one of the most stressful situations a family faces. However, dealing with creditors and not being able to pay for your everyday living expenses, can cause even more stress and become even worse for your health. If you’re behind on your payments and wondering how you’re going to make ends meet, things might be so hectic that it’s difficult to determine how to move forward. 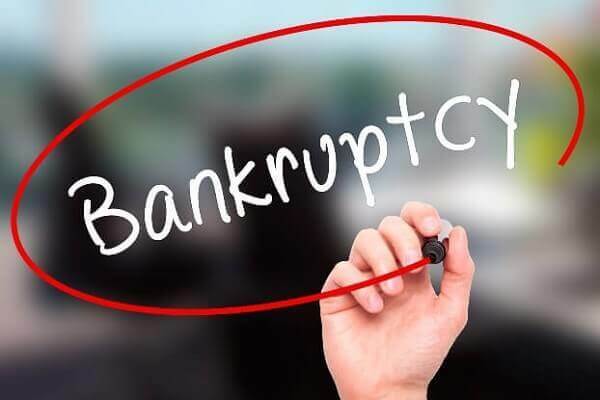 If you aren’t sure whether it’s time, here are 3 signs that it might be time to consider filing bankruptcy. If you’re struggling to pay basic living expenses like food and rent because your money is going toward bills and paying off debt, bankruptcy could be the best option for you and your family. Whether you’re behind because of an emergency, medical bills, or because you’ve recently been laid off from work, you shouldn’t have to go without eating or having a roof over your head to pay your bills. In fact, feeding and caring for yourself and your family members should be the priority. Are you making payments on your bills but the balances aren’t getting any smaller? Even worse – are they getting larger despite your payments? In this case, your best bet is to file bankruptcy. If you’re making your payments and suffering the consequences of your debt, you shouldn’t have to struggle the rest of your life because of interest charges and late fees. Only being able to make minimum payments on accounts is bad enough because your balance isn’t likely to decrease. However, it can become an even more difficult situation if you can’t pay your minimum payments at all. If you can’t make any payment on your accounts, late payment fees, penalty fees, and increased interest rates are actually going to make your situation even worse. Instead of dealing with the stress and worry of bills that are growing out of control, you might want to consider a fresh start with bankruptcy. It can be difficult enough managing your debt and your living expenses. Don’t put it off longer than you have to and let us help you determine whether or not it’s time to file bankruptcy. To learn more about how we can help you move forward, call our Wausau, WI law offices at (715) 842-2291 or request a consultation by filling out our online contact form today.